What can Avatar teach us about timing? It’s late. It’s 1:32 am and I just got back from seeing Avatar. 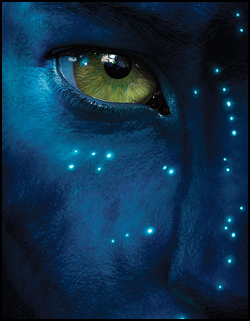 (If I need to tell you what Avatar is, you may want to just dip your toes into popular culture a little deeper.) I can’t sleep. As you’ve heard, the movie is amazing. I’ve heard it described as the Star Wars of this generation. I didn’t think of it that way. Yes the special effects were amazing and it is most definitely a game changer. But more than Star Wars it reminded me of Jim Henson’s The Dark Crystal. James Cameron waited years to create Avatar. In the process he invented a new type of 3-D camera. He is also responsible for inventing some SCUBA equipment for the movie The Abyss. As I watched the movie, I felt as though Jim Henson would have wept at what could now be done. (I think Disney would have felt the same about Wall-e.) If he were alive, I can imagine him wanting to redo The Dark Crystal. In business/marketing, as in entertainment, timing is everything. Henson was ahead of his time. Cameron patiently waited till the right moment. Just like surfing, you must wait till the right moment to launch your business. If you launch too early, you’re thrown into the reef below. If you launch too late, you get to watch as others ride the wave in to the shore. Posts like this always make me stop and think about one question: Who is “ahead of their time” today, and will the rest of the world catch up in time for them to shine? PS- Love the surfing reference, think I’m going to paddle out in the am even though the water temp is a cool 56 deg.